The feast of Saint Fortunatus Martyr was celebrated on Sunday the 16th of November. 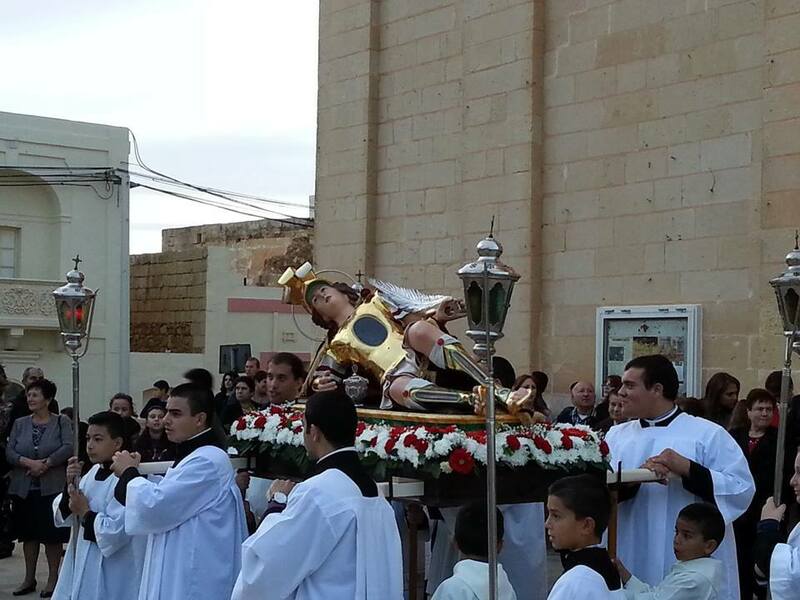 The main Mass was at 3.30 p.m. presided by Bishop Mario Grech. The candidates for the sacrament of Confirmation were presented to the bishop before the homily and after the proclamation of the Gospel by Archpriest Canon Reuben Micallef. The Bishop preached about the importance of Christian testimony in today’s world. at 5.00 p.m. the procession with the sacred relics of the saint began to march around the streets of the village, accompanied by the Santa Marija Band. The celebrations ended with the Benediction of the Blessed Sacrament at 6.30 p.m. The Triduum homilies were preached by Fr Victor Zammit MSSP who will also be preaching the Christmas Novena.